A resume is the short summary of a person that throws light on his/her working experience, education, and technical skills etc. The resume writing begins with a career objective. A career objective is a short statement that tells the interviewer about our career goals, mission, and vision. So, it should be killer, crisp, and impressive. 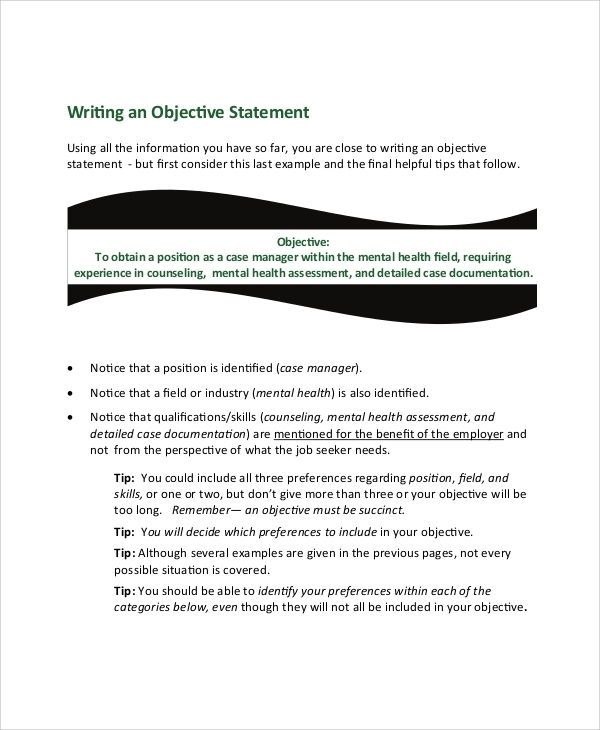 Download below documents for writing killer Nursing Resume Objectives, teacher resume objective, internship resume objective, IT resume objective etc. 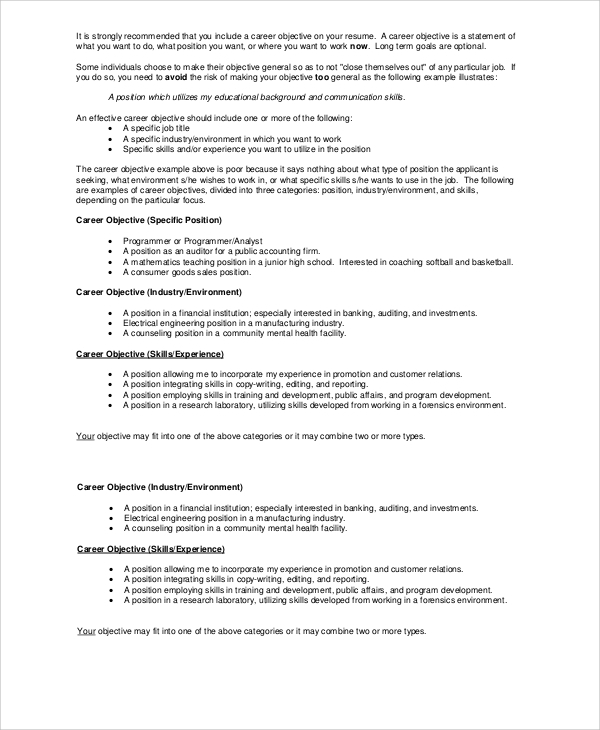 Teacher resume career objective contains a brief note on Resume and career objective writing. Learn various types of resume writing including Functional resume targeted resume, Chronological resume, and combination resume. 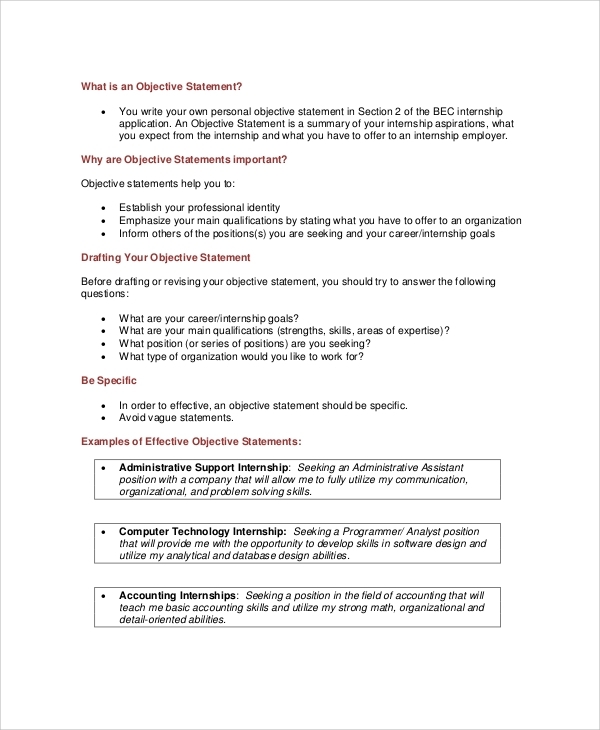 If you are applying for an internship then you should refer Internship resume career objective PDF. 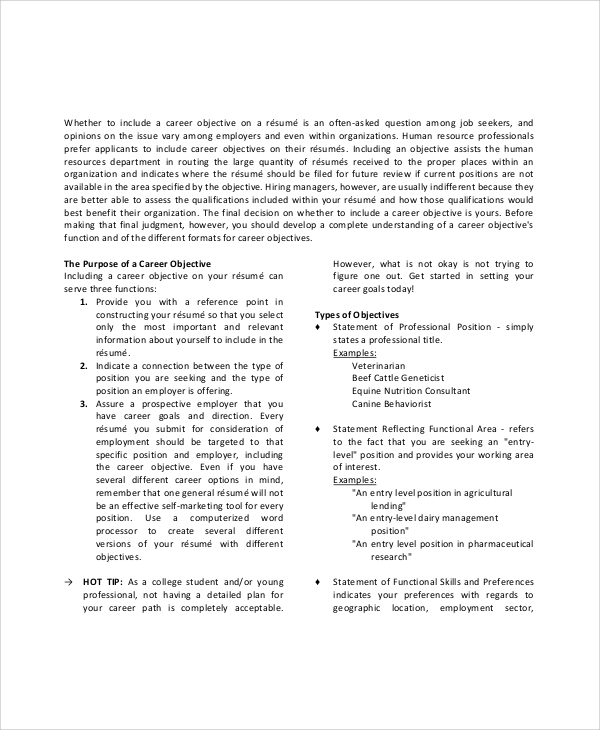 Learn elements of career objectives along with 5-7 examples. 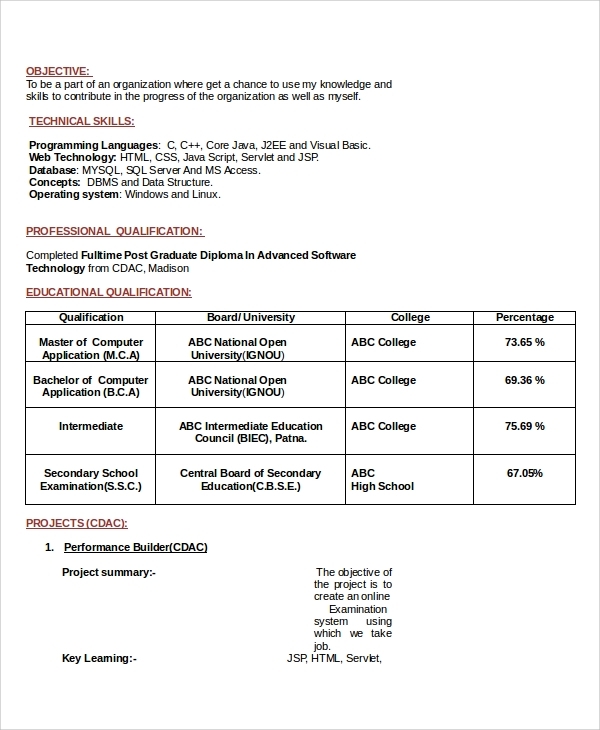 Resume Career Objective Format PDF contains multiple career objective examples for various industry applicants including finance, accounts, IT, software development, education, web designing, Graphic designing etc. The stuff is available for both fresh candidates and experienced persons. Download the Resume Career Objective Statement PDF and get all necessary resources for writing a killer statement. It includes a guide on writing career objective including the purpose, characteristics, and examples. 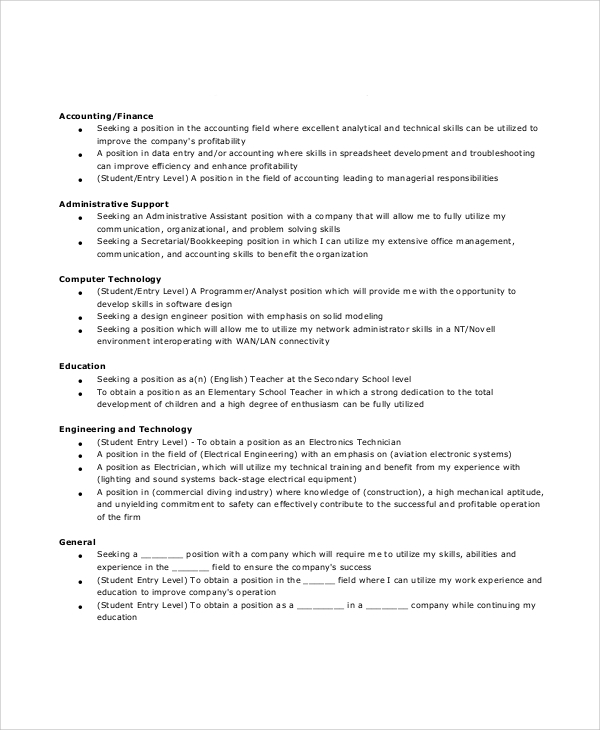 Also, it has a worksheet to note down skills, job position, and job objective. This is a beneficial stuff for fresh pass outs. A resume is a document that highlights your education achievements. It includes your personal details, education summary, extracurricular activities, strength, weakness, etc. All these stuff are common in every resume. Just you need to highlight yourself among the crowd. You can do it by writing a killer career objective. Employers use career objective as a tool to judge student’s caliber. They match your objective with job position, job requirement, and company needs. If you meet it then you have made an awesome first impression. So, career objective can be said “the base of resume”. 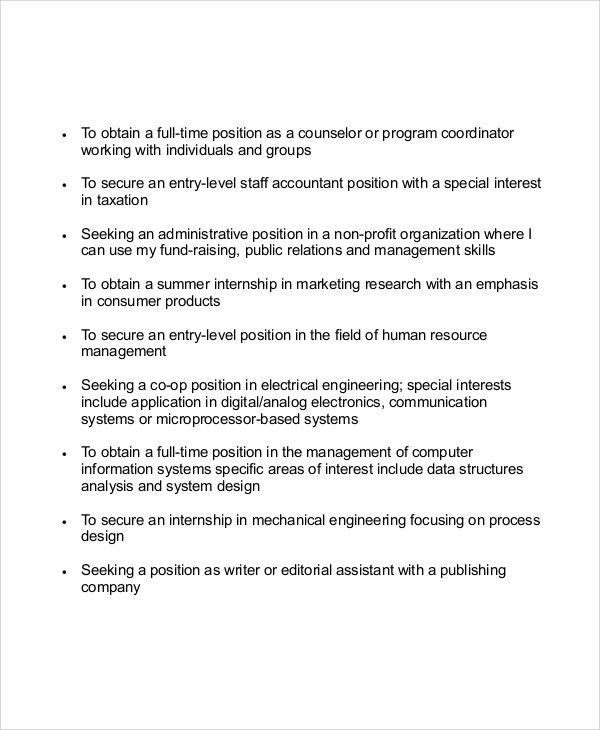 Our Resume career objective examples are helpful resources for all applicants. Any individual belonging to any sector including IT, management, marketing, Sales, technical support, nursing, medical etc., can take a reference for writing killer career objectives. Our career objective sample documents help both fresh pass outs and experienced applicants in writing effective career objective for better communication with the employer. 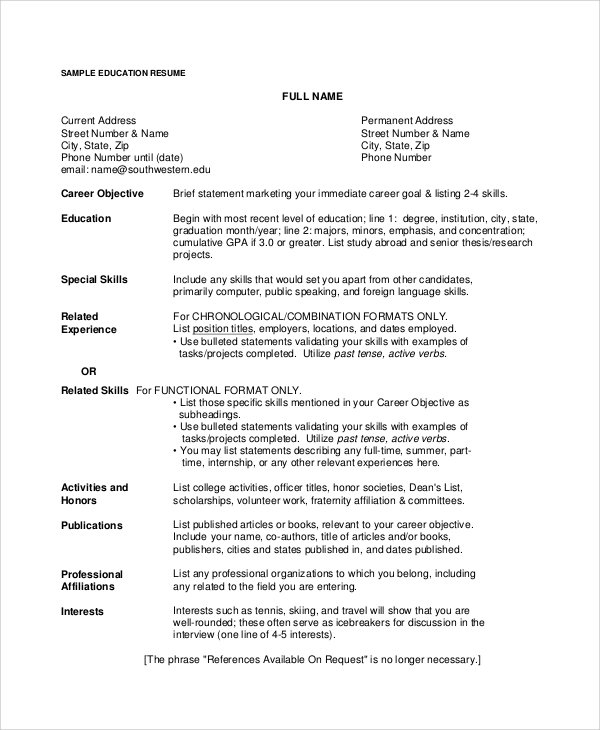 Use our chronological resume career objective samples and impress the employer. Make an effective first impression. Explain your career goals in a single line and show your creativity using our sample resume career objectives. Make employer in your court and set the direction of the interview. Help your friends, family members, and colleagues in writing impressive resume career objectives. Our general resume objective sample examples are written by Ph.D. scholars and expert industry professionals. Take reference and write appealing career statements to impress the interviewer before the interview process. You can also see Sample Job Objectives.